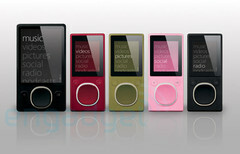 Microsoft has finally discontinued the Microsoft Zune Music Service. Microsoft has finally decided to discontinue the Zune brand and music service after nine years of servicing music listeners. Current Zune device owners will be mostly unaffected, and will continue to be able to listen to the songs and albums on the device or transfer music at any point in time. They will be unable to stream music online, however. Zune was originally launched nearly ten years ago as a response to Apple's iPod, and although many believed it would steal many sales from its competitor, this was never the case. The ability to insert and switch SD cards never became the killer feature for Zune that it was once believed to be. In recent years, as consumers have begun to turn to smartphones for music streaming rather than storage, the MP3 business has started to wane along with the Zune. For the few who still have Zune Music Service subscriptions, Microsoft will switch them over to the Groove Music service. Because Zune devices discontinued production in 2011, there are not many who still rely on the MP3s and Zune Music, but it is nice to see Microsoft taking care of the small number of subscribers it still has.